Cape Town - As many Capetonians scramble to avoid being affected by Day Zero, which has now been moved back to 16 April, the ramifications of the ongoing drought is being weighed across the travel and tourism industry. Just how tourists might be affected is unknown, if they will be affected at all. Rainfall remains unpredictable with an estimated three years of normal rainfall patterns required to make any sort of correction to the crisis. Consumption per person has been limited to 50 litres of water per day since 1 February, despite various sectors of the travel and tourism industry investing in supplementary measures to remove their impact on the grid, as well as ensure that visitors to the popular city can continue to enjoy their time in the city. 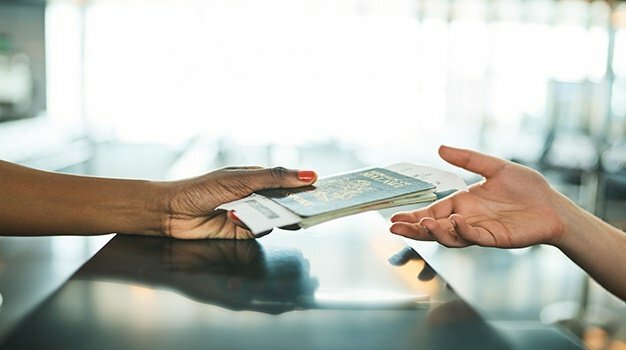 There is no doubt that inbound tourism is bound to see some effect, despite Cape Town seeing record growth in 2017, because let’s face it the idea of a limited water supply when you’re on holiday – the reality of which means 90-second showers no less than twice a week – is anything but a draw-card. It’s a challenge for even the most switched on eco-traveller out there. And while SA Tourism CEO, Sisa Ntshona passionately states that South Africa and Cape Town is open for business, he admits that cancellations due to the water crisis would have far reaching effects for tourism throughout the country. “This is not just a Western Cape or Cape Town crisis. This is going to become a national crisis as the issues of Cape Town will impact the entire tourism sector in South Africa. “A visitor who books a 20-day package for SA, five of those days are in the Western Cape. When that person now cancels, they cancel the entire package, they cancel on Limpopo Mpumalanga and KZN, they cancel on the rest of the country. “We need to make sure we are at the front of this and start communicating that this is a national crisis,” says Ntshona. There are no clear indications as to what the immediate tourism impact is, with visitor figures estimated at 1 percent of overall consumption in peak periods. Initial reports on the December 2017 peak tourism month show high growth in international arrivals, and an increase in visitors to regions across the Western Cape. According to Airports Company South Africa, Cape Town International Airport registered 127,309 international arrivals for December 2017, an 11.5% increase from December 2016. Domestic arrivals by air dipped slightly by 2.2% to 389,324. In the wake of the crisis, South African Tourism, Wesgro and stakeholders within the travel and trade sector will be holding a crisis update meeting on Friday 2 February at the CTICC. Ntshona says responsible tourism messaging has been part of the global narrative as well as that of South African tourism’s messaging for quite a while - this situation is not unique. He sees the Cape Town water crisis challenge as being a case study going forward for responsible tourism, on how to cope in times of water scarcity. Ntshona sees the process as a "recalibration exercise", admitting that the "new normal going forward" has seen the industry become especially innovative in becoming water neutral. He says indicative of this are the measures taken by organisers of key events continue. The Cape Town Cycle Tour, the Two Oceans Marathon as well as the Cape Town Jazz festival are all looking at "innovative solutions and how the lessons learned can be shared across the board," he says. But what can the trade and travellers do when it comes to international policy cancellations? There are various stakeholders at play without any clear consensus on how to stem the long-term effects on pre-booked holidays, that could impact tourism bookings across the country as highlighted by Ntshona. It seems the default option as such is for tourists to continue to save like a local. Otto De Vries, ASATA CEO says the organisation continues to encourage all travel companies, whether they are sending international or local holidaymakers or business travellers to Cape Town, to create awareness among these travellers of serious water crisis in that city. "Business travellers should make a conscious decision about whether they can substitute the trip with a conference call or shorten the duration of their trip. "We recognise that the city’s economy, and thousands of jobs are supported through tourism and travel, and do not wish to discourage travellers from visiting the destination. These travellers should, however, be responsible in their behaviour and attempt to minimise their impact on municipal water sources during their stay, even if that means buying bottled water from non-municipal sources during their stay for their own consumption. On Tuesday, Wesgro also noted that ratings agency, Moody’s, has deemed the City of Cape Town’s water crisis as credit negative. While Moody’s has not downgraded the City’s credit rating, the drought has the potential to negatively impact on investor confidence in our region and country, with Wesgro stating it will determined to limit this impact as far as possible. "At this stage, all potential investors we were engaging with at the end of 2017 remain interested in investing in the Cape," the agency confirmed. De Vries says, "We encourage members of ASATA, which represents over 95% of South Africa’s travel industry, to run awareness campaigns and initiatives that contribute to water saving, as well as introduce flexible cancellation or rescheduling terms for travellers so that they are able to rebook their holiday or business trip to Cape Town within reason. Ntshona sums the situation up saying, "This water crisis is not unique to South Africa, it is the new normal in terms of how responsible tourism needs to play out around the world. "We want South Africans, we want international visitors to be astutely aware of the water restrictions that are in place while they are there."